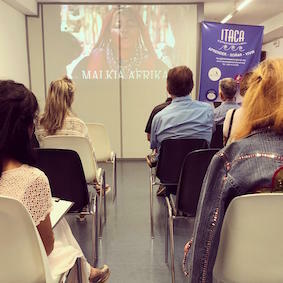 We recently had the pleasure of presenting the book “Malkia-Africa” (“Queen Africa”). It is a powerful photographic project carried out within two ethnic groups in Gambia and Namibia, which impacts us not only because of the enormous aesthetic beauty that the camera has captured, but also because of the enigmatic aspects that the images offer, and the ancestral force that shapes this old continent. Its author, the Valencian photographer Miguel Marquez, supports the status that this wonderful continent deserves where the beauty, pain, magic of its rituals, celebrations and dances are profoundly meaningful.